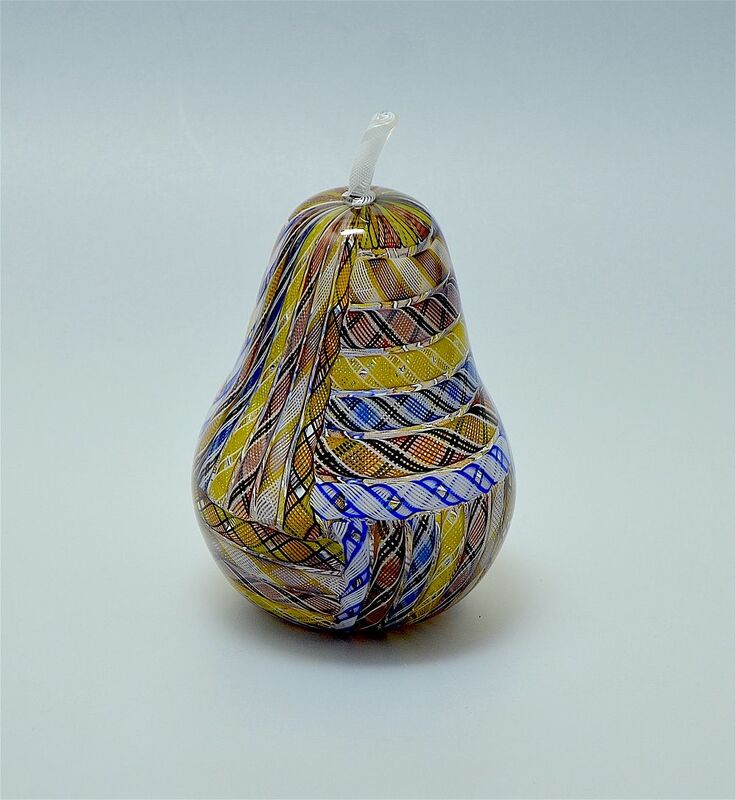 This gorgeous hollow blown pear was made by Michael Hunter for Twists Glass in 2009. It comprises numerous lengths of zanfirico canes in multi colours laid horizontally and vertically in clear glass with a white zanfirico cane stem. The base is scratch signed "M Hunter Twists 09" and has the Twists Glass studio label. Very tactile!